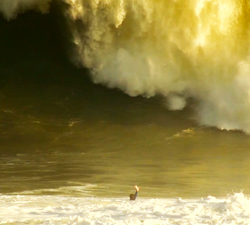 A trailer for José Otavio Carvalho’s comeback clip, featuring the Chilean mega swell and him ripping at home in Itacoatiara. 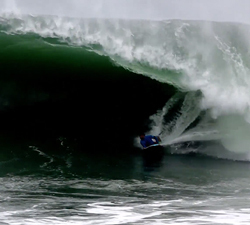 A compilation of the best punts and biggest pits from Jose Otávio in Itacoatiara. Filmed and edited by Iuri Carvalho // Prone Mediah. Another video in the “Like Team” series, the José Otavio video profile produced by DEXA Produtora. José Otavio getting the beatdown of his life in massive itacoatiara. Brought to us by Dêxa Produtora . José Otavio surfing at home (Itacoatiara RJ BRAZIL). Editing & Images: Yuri C. From Prone Mediah. Dêxa Produtora welcomes José Otávio to the team. Here is a video clip of him ripping Itacoatiara to celebrate that fact!! On 10/12/2012 bodyboarders Dudu Pedra (pride), José Otavio (sniper) and Lucas Faria (DEXA) were the highlights of the day! José Otávio has recently signed up the Sniper and here is the video to celebrate that fact! From Dexa Prod.